Yes, now that QR Codes are what I would call “officially extinct,” Yellow Pages are next in line for termination. I received the new YP yellow pages for Gwinnett County on Friday. It’s 380 pages. I can recall a time when it was over 1,000. I actually remember getting 3 separate books one year. But this year, instead of the 4 inch thick version I remember from my youth, this is a mere ¾ of an inch. It makes me think of those “Worlds Strongest Men” ripping phone books in half. Well, any IT guy can rip this one in half. Let’s be honest. The Internet, with sites like Angie’s List, and especially Google, have castrated the Yellow Pages. It takes longer to find the book from wherever you put it in your kitchen, than it does to open your laptop, tablet or phone and search Google. The yellow pages is like carriages and buggy whips once were… it’s going out of style. This affects the advertisers as much as it does the yellow pages companies. 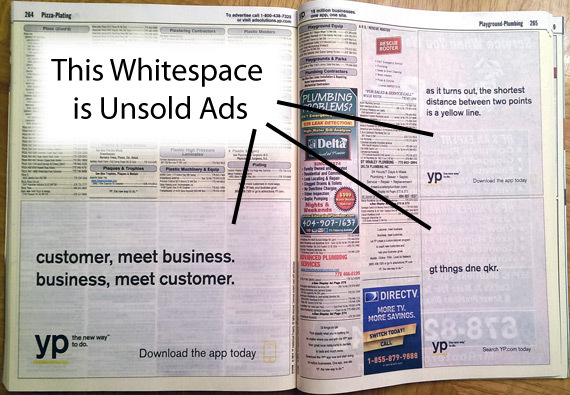 As consumer behavior changes, no one will use the Yellow Pages anymore. That means wasted marketing investments for advertisers. 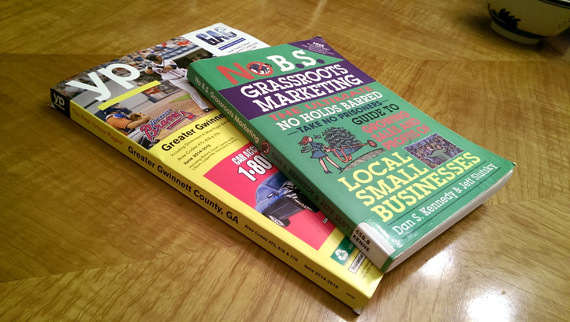 That means that the Yellow Pages companies, both large and independent, will have to find other ways to convince advertisers to advertise in their books – if for some strange reason they continue to print them. Ironically, these companies are moving into Search Engine Optimization and Pay-per-Click services. They are already trying to compete with digital agencies and claim that their salespeople are marketing consultants. That’s like Waffle House claiming it’s steak is on par with Ruth Chris. I think it’s too little too late. Consumer behavior has changed. My advice? Advertisers should steer clear of the Yellow Pages and instead move their ad spend into Google Adwords, onto Angie’s List, and others (if necessary). I’m not a fan of some of the listing sites, but if you can place an ad and get traffic, I say take advantage of it!